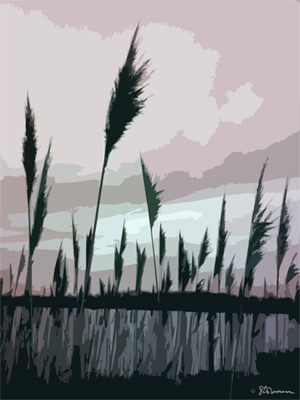 Reeds by Lake. © Suzanne M. Coleman, all rights reserved. Image may not be downloaded, copied, shared or used in any manner (except by sharing the link to this page) without the express written consent of the artist. 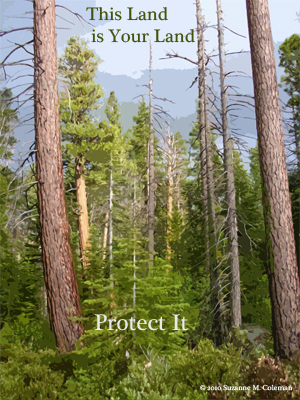 “This Land is YOUR Land, Protect It.” Lake Tahoe, CA. Also available without the words on the image. © Suzanne M. Coleman, all rights reserved. Image may not be downloaded, copied, shared or used in any manner (except by sharing the link to this page) without the express written consent of the artist. 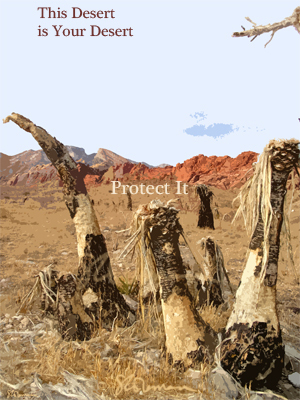 “This Desert is YOUR Desert, Protect It.” USA desert. Also available without the words on the image. Please note that the extra signatures seen on many images are added for internet security and are not present on the image itself. © Suzanne M. Coleman, all rights reserved. Image may not be downloaded, copied, shared or used in any manner (except by sharing the link to this page) without the express written consent of the artist. 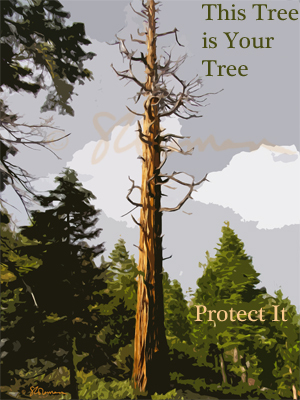 “This Tree is YOUR Tree, Protect It.” Lake Tahoe, CA. Also available without the words on the image. Please note that the extra signatures seen on many images are added for internet security and are not present on the image itself. © Suzanne M. Coleman, all rights reserved. Image may not be downloaded, copied, shared or used in any manner (except by sharing the link to this page) without the express written consent of the artist. 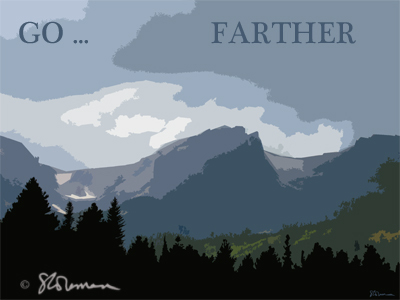 “Go… Farther.” Rocky Mountain National Park. Also available without the words on the image. Please note that the extra signatures seen on many images are added for internet security and are not present on the image itself. © Suzanne M. Coleman, all rights reserved. Image may not be downloaded, copied, shared or used in any manner (except by sharing the link to this page) without the express written consent of the artist.